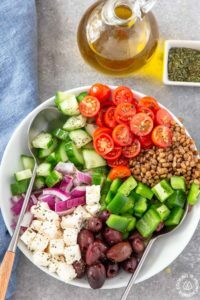 This Lentil Greek Salad is a colorful, healthy and easy to make salad that has fresh flavor. Each serving has crunchy cucumbers, green peppers, juicy tomatoes, creamy feta cheese, red onions, kalamata olives and the added bonus of lentils for protein. 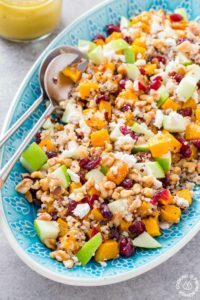 This roasted Butternut Squash Apple Quinoa Salad is loaded with seasonal flavors all tossed with a creamy maple vinaigrette! 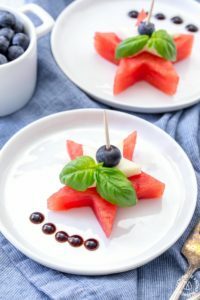 These Watermelon Caprese Bites have that perfect sweet-salty combo taste that makes a refreshing summer appetizer or side salad. No need to spend time in the kitchen since they come together quick and can be on your table pronto! No fuss or muss! 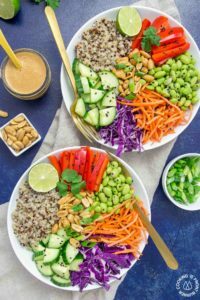 This vibrant Asian Quinoa Bowl & Peanut Dressing is loaded with fresh ingredients and tossed with a ginger-garlic homemade peanut dressing. You will love how easy it is to prepare and makes a great lunch, picnic or side dish. 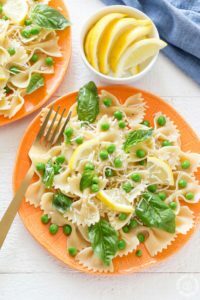 You will love how light and tasty this Springy Lemon Bow Tie Salad is with tender peas, fresh basil, bow tie shaped pasta, tangy parmesan cheese and spritzed with freshly squeezed lemon juice and tossed in olive oil. It makes a great dish to any meal and can be whipped up in no time! This easy Greek Quinoa Salad is perfect for those times when you want a healthier side dish and don’t want to fuss. 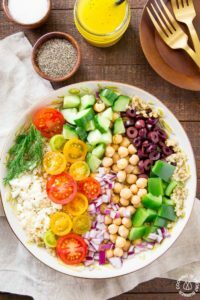 You will love the all the fresh ingredients with crunchy cucumbers, tangy kalamata olives, juicy tomatoes, garbanzo beans, red onion, green peppers, feta cheese and tossed with a lemon vinaigrette dressing. 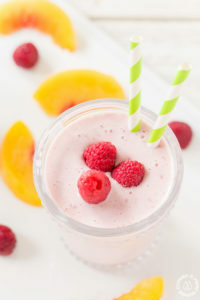 Making this Healthy Peach Raspberry Smoothie is easy to prepare and makes a delicious breakfast beverage or snack. It is so simple with frozen raspberries and peaches with yogurt, soy milk and a touch of honey. 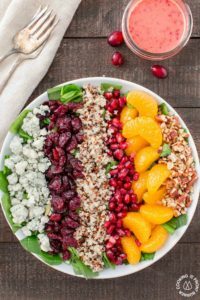 This Chopped Spinach Winter Salad is so flavorful, a good way to eat healthy, and makes a great side dish. It’ll jazz up your holiday table too! You will especially love the freshly made cranberry and orange vinaigrette. It really is the star of the show! 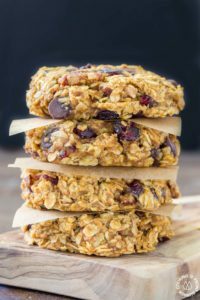 These grab-n-go Pumpkin Oat Breakfast Cookies are easy to make with good for you oats, pumpkin, a bit of chocolate, pecans and dried cranberries. Make ahead for those times when you are in a hurry but want something healthy to fuel your day! 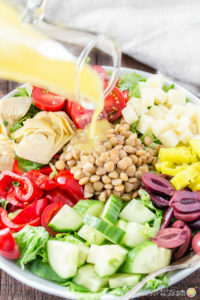 Italian Lentil Chopped Salad has it all with fresh veggies and lentils that are packed with protein! Spring has sprung and it’s time to start anew with leading a healthy lifestyle and simplifying food choices. Today’s post is being compensated by Lentils.org as part of the Spring Cleanse campaign – all opinions and text are mine.